Interest rates are moving higher, earnings are increasing 25% year/year, and the political climate could be getting more uncertain. This has been part of the narrative all year, and yet the stock market keeps making new highs. What more can you ask for? Despite the obvious expansionary business cycle we are experiencing, fear continues to dominate in the amateurs' gallery; the independent investor survey shows below-average bullishness, and above-average bearishness. The 'market public' just can't believe their eyes, and they can't forget about what happened ten years ago. It seems that the market has not delivered enough higher-highs and higher-lows to convince them. This is a classic bull market scenario; lots a fear and strong fundamentals. GDP growth has gone from 2.2% in the first quarter, to 4.2% in the second quarter, and the Atlanta Fed's GDPNow estimate is 4.4% for the third quarter. Consumer inflation, while rising, has not taken off and remains around the healthy 2% level. Earnings in the second half are not expected to match the 25% increase of the first half, but 17% expected-growth should not be striking fear in the market (but it is). Fear and strong fundamentals are what bull markets are made of. The put-to-call ratio has a strong negative-correlation with the SPX; down-spikes in the 8-week MA indicate local market tops, while up-spikes indicate local bottoms. 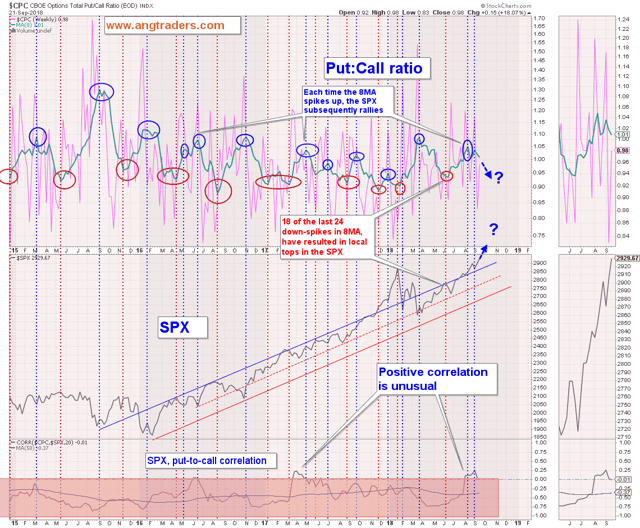 The average has made an up-spike which implies a continuing rally (chart below). The volatility index (VIX), by itself, has a strong inverse correlation with the S&P 500; down-spikes in the VIX correlate with market highs. 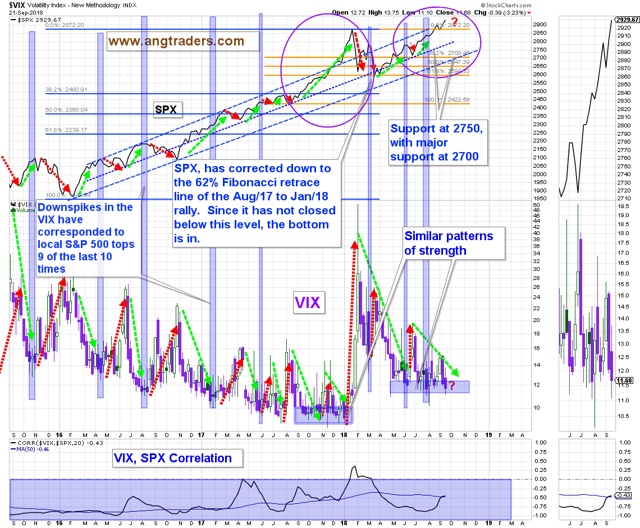 This week, the VIX fell further as the S&P 500 made new highs, but from here the VIX is likely to bounce up to meet the down-sloping trend-line (green dashed-arrow) and the S&P 500 is likely to correct (chart below). 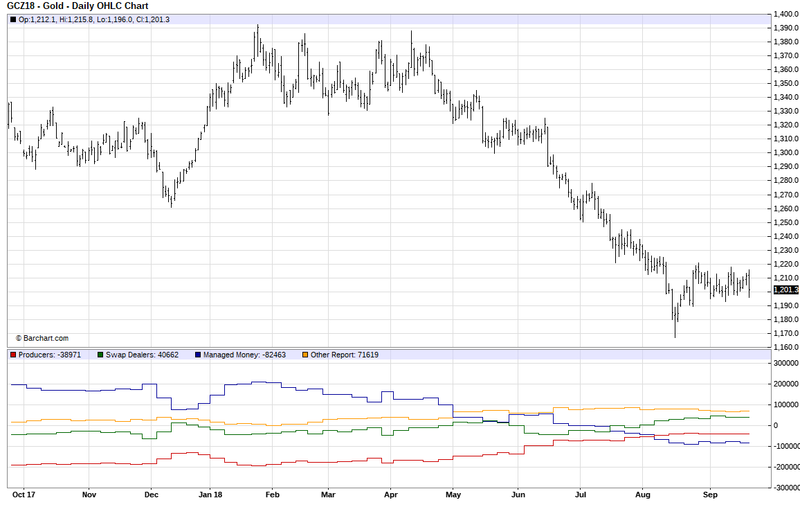 The 8-month MA remains above the 12-month MA. The S&P 500 continues above its 8-month MA. 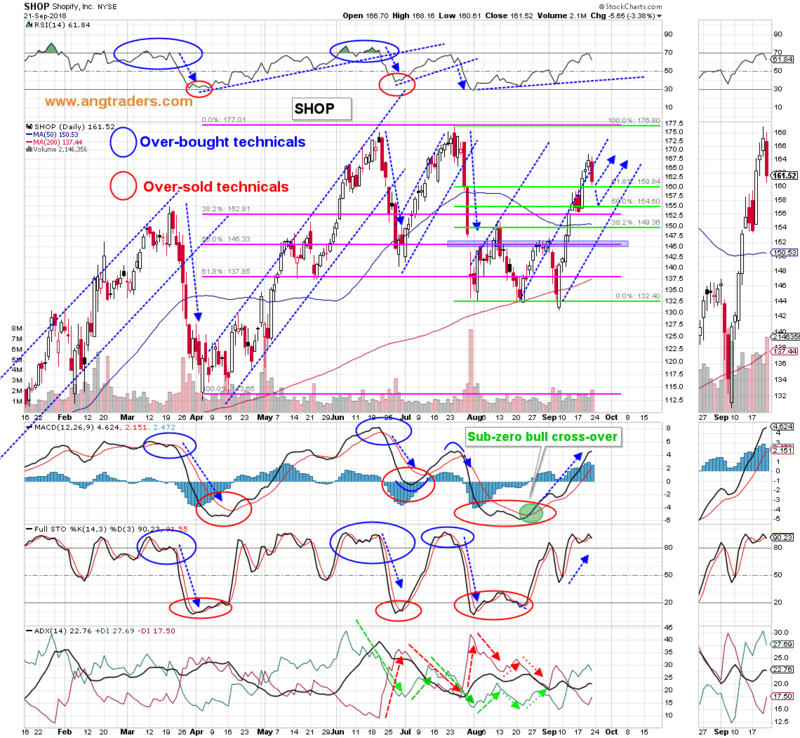 The MACD continues to diverge away from a bear cross-over. The ADX +DI has started to turn back up, and the -DI has started to turn back down. 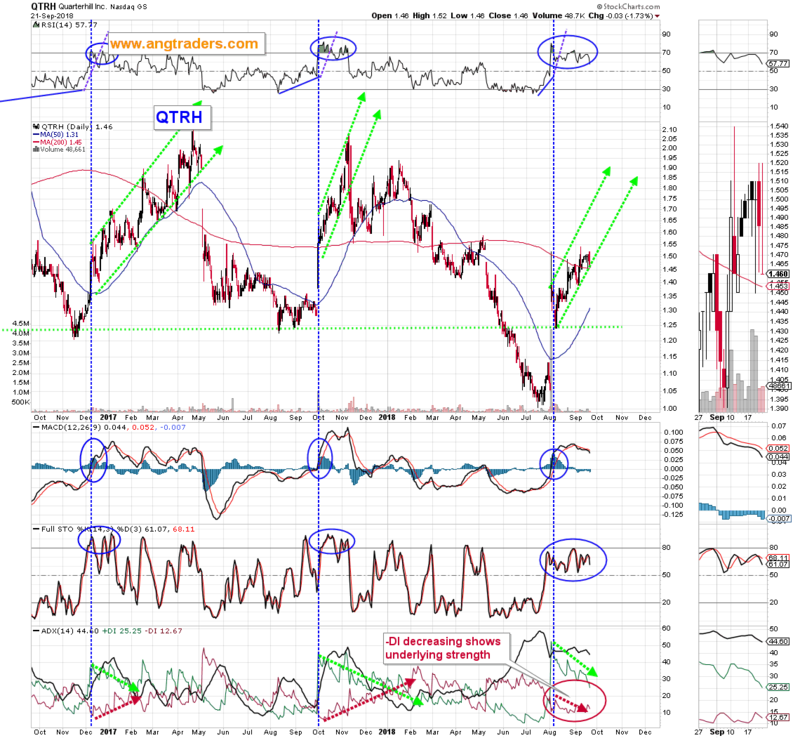 The stochastic continues to move higher . This pattern is similar to what happened during the 1998-2000 trading period (shaded areas on the chart below). The only worry we have is that the ADX trend strength (black curve) has moved above the down-sloping trend-line (dashed blue-line) which has acted as a turning point for the trend strength in the past. 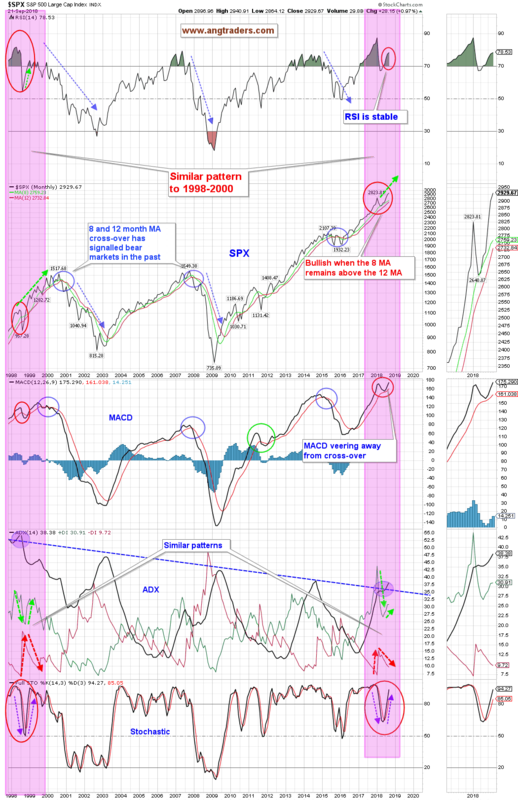 This indicator can, however, continue to rise above the blue dashed-line like it did in 1998 (chart below). 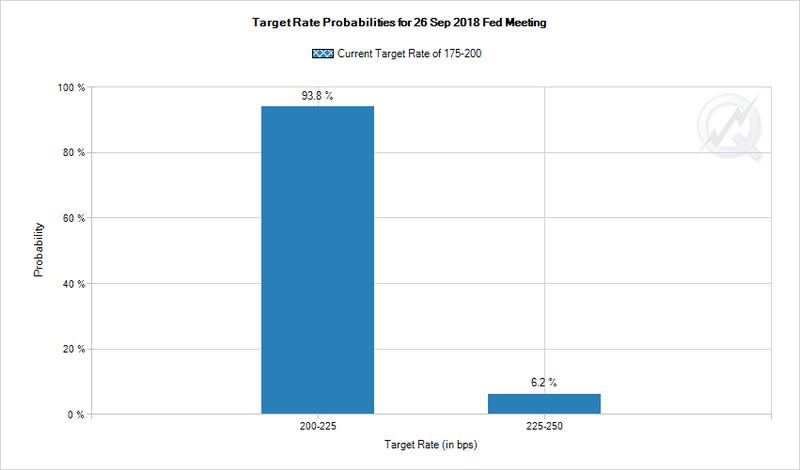 The Fed meets this coming week and the market is pricing in a nearly 94% probability of a rate hike (chart below). The Fed is unlikely to surprise the market, so we expect a rate hike next week, but volatility on the day of, is expected. SHOP may pull back to the $155 (50% Fibonacci retrace), but overall the rally should continue riding the wave of potential that Canadian pot legalization is producing. BZUN is technically strong. 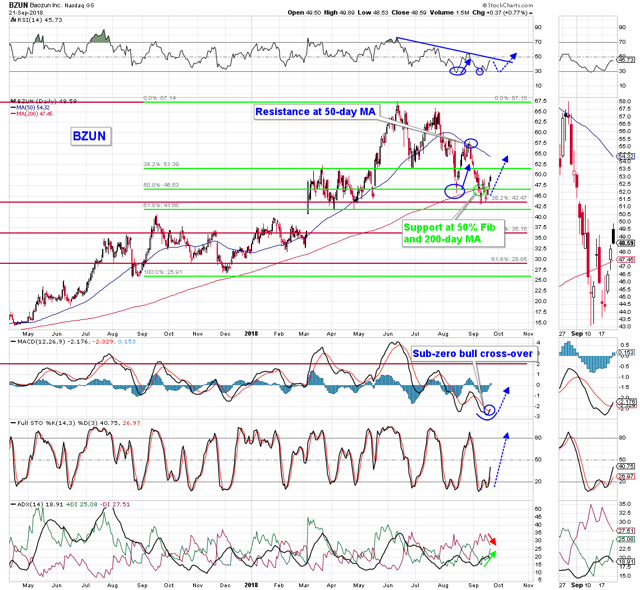 The 50-day MA will present some resistance. 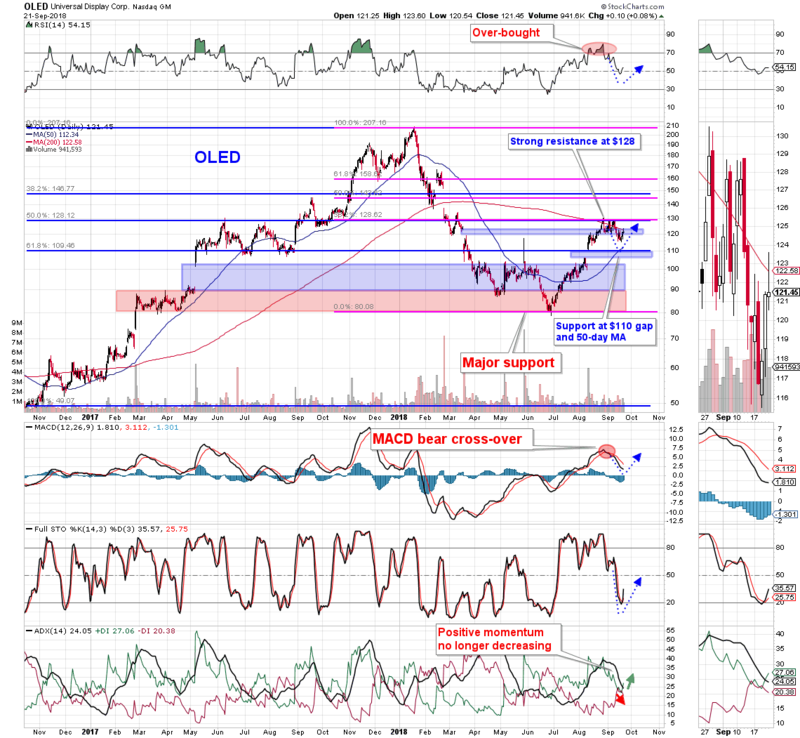 OLED has to overcome resistance at the 200-day MA and then the $128-$130 level. We expect some weakness in the short term because the mediation between WiLAN and Apple did not yield a resolution. This likely means that Apple will appeal, which could take 18-months or more. The other Quarterhill companies will help to moderate the disappointment that the market will bestow on the stock, but lower prices in the short-term are expected. Please see Thursday's gold update for the gold analysis. The commitments of gold futures traders was not available on Thursday so we include it below. The positions of all traders are essentially unchanged from last week (chart below).